DAVID VALENTINE BAIL BONDS, INC. IS A FAMILY OWNED AND OPERATED BAIL BONDING SERVICE SERVING THE JACKSONVILLE METROPOLITAN AREA SINCE 1984. Upon completing six years in the US Military as a staff sergeant, David Valentine began his career in Jacksonville in the insurance industry working at Prudential Insurance Company. After three years at Prudential, he worked for a local bondsman and fell in love with the business. 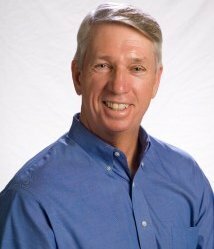 In 1984, he opened David Valentine Insurance & Bail Bonds Inc. David Valentine Bail Bonds has been serving the Jacksonville Metropolitan area ever since. David, unfortunately, passed away in November 2008, but the reins of the company were picked up by his wife Ingrid Valentine. The same quality and care goes into serving Jacksonville residents that was set forth by David nearly three decades ago. When you retain David Valentine Bail Bonds’ services, as well as those of its sister company Global Monitoring, Inc. you are guaranteed to be given anonymity and the utmost respect, because you are now part of the David Valentine Bail Bonds family. We are located across from the Court House in Downtown Jacksonville Florida. Bail bonds are our specialty! •	What is a bail bond? A Bail Bond guarantees the appearance of the defendant in court every time he or she is ordered to do so. •	How much does a bail bond cost? The fee for a Bail Bond in Florida is always 10% of the total bond amount. These fees are set by the State of Florida and are not negotiable. •	Are payment plans available? In some cases, payment plans can be arranged. Please speak to a bail agent at David Valentine Bail Bonds, Inc. for more information. •	What do I need to get a bond? You will need a Florida Driver's License or Florida ID Card, as well as steady income. You will also need to enter into a contractual agreement and pay the 10% bail bond fee. Collateral is not always required. Please speak to a Bail Agent at David Valentine Bail Bonds, Inc. for more information, as all cases are unique. For more information on Bail Bonds issues, please click here or call David Valentine Bail Bonds.